Here are the men with the best results last week in Rome. The Spaniard can be so-so at times, and he knows that, and he says that, even if we don’t always believe him. On clay, when he is on top of his game, he is control 95 percent of the time. When he was close to losing the final to Alexander Zverev, he stepped up, smacked his forehand and weaker backhand, and he found his range. He is super smart and driven. Nadal will come into Roland Garros this week and be a serious favored to win it again: that would be 11 times. Wow! The German was pretty close to winning Rome, moving forward, pounding his backhand and serving big. The 21-year-old has had a terrific three weeks, beating 13 different players, knocking down a few of the best. But as Zverev has said, he was so close to put down Nadal for the first time but coulnd’t make it happen at the end of the match. With a break in the third, he lost his fire. Can he win in Paris? That is unsure. At least the former No. 1 reached the semis. While he lost against Nadal, he was finally a little bit confident and focused. He may not love clay, but he is a very good player from top to bottom. As long as he stays healthy, he will return to the top 10, then into the top 5, but after that, to win a Grand Slam this year? The jury is out. The Croat had a very good week in Rome. Yes, he didn’t win, but at least he hustled and changed his tactics. Reaching the semis on clay makes Cilic smile. The Japanese also had a good week, not retiring, staying in there. He never gave up. 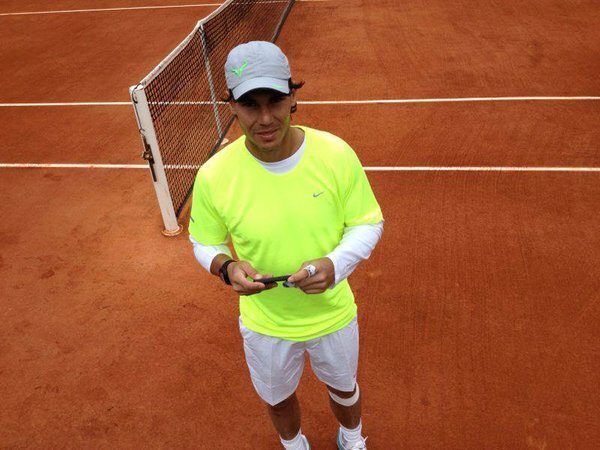 He and Djokovic had some fun rallies, and coming up to Roland Garros, I am sure they will be practicing for many hours.